Malaysian media conglomerate Media Prima’s over-the-top service, tonton, in collaboration with Samsung, announced their strategic partnership to make its media service the number one household go-to entertainment by making it accessible via Samsung’s 2017 and 2018 Smart TV models. The Smart TV app of tonton is made possible with Sofia Digital, an integrator and developer partner of tonton for Smart TVs. The Finnish engineering company delivered a unique turnkey service which comprises of development, integration and certification of each TV-vendor Appstore submission process, redefining the landscape of TV business in Malaysia. Apart from Samsung, subscribers and users may also anticipate tonton’s future collaborations with two leading Smart TV brands; Panasonic and LG which shall be announced at later dates this year, broadening their content reach into more households. “We are delighted to introduce tonton on Smart TVs starting with an established brand like Samsung allowing our users to enjoy their favourite show on tonton with a smart viewing experience,” she added. 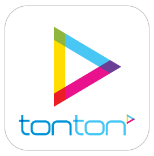 tonton is also available in Singapore via Singtel Cast, accessible through My Singtel app whilst DST customers in Brunei can subscribe to tonton by downloading the App or access the online portal through http://www.tonton.com.my. Members who upgrade to tonton VIP will unleash the true power of tonton – giving VIP members unrestricted access to a library containing over 36,000 hours of local, Asian and International content (in certain territories), exclusive LIVE events in HD, video ad-free experience, download and watch later functionality, enjoy VIP perks at events and much more. Viewers who upgrade to the tonton VIP membership will also get to binge-watch all exclusive content, dramas and more up to six (6) months before it premieres on TV. With the brand new service, tonton’s vision is to be the #1 localised video entertainment platform for the best and latest Malaysian dramas, exclusive LIVE events and more.